Mikhail Youzhny, named affectionately by his fans “The Colonel” has officially ended his tennis career with a 6-7 6-3 3-6 loss to Roberto Bautista Agut in St. Petersburg. 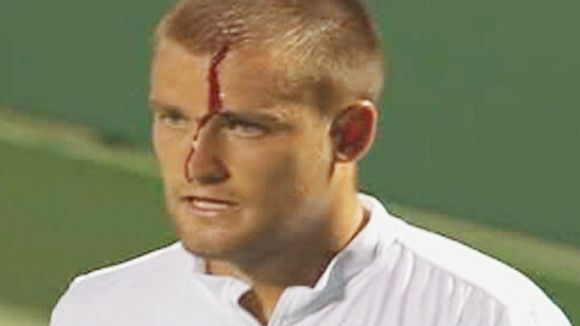 Youzhny reached a career high of number 8 in the world, and was at times the highest ranked Russian. He has the distinction of being one of a handful of players to reach the Quartefinals of all 4 slam events, reaching the Semifinals of the US Open twice in 2006 and 2010. He has won 10 career titles, 8 at the 250 level and 2 at the 500 level. His titles have come on numerous surfaces. He has won titles on hard (outdoor and indoor), clay, and grass courts, and has been one of the tours most versatile players. He has won the Davis Cup twice, once in 2002 and once in 2006. His 2002 win had him playing the deciding rubber. Being 2 sets down and on the verge of losing a Davis Cup title, Mikhail rallied and took the last three sets to hand Russia the title, at 20 years old. He has always been the embodiment of professionalism on the pro tour and his presence will be missed by everyone. Praise be to the man who showed the world that traumatic brain injury is just as real a problem in tennis as in football handegg. He did play some nice matches. The US Open quarterfinal win against Rafaello comes to mind. He actually somehow still won that match, but he was playing a notorious choker. Annoying that he won't play Moscow and retired at 499 wins. He needs to take a WC into Moscow and get that #500. 499 is gonna annoy me. Born and lives there. Cheeky guy. Have a good retirement, Colonel. Damn shame. Sad to see the guy go. He could be magic to watch on his day* Being part of the quarter final club at the slams is no small thing, and he just quietly managed it without ever having the consistency of guys like Ferrer or Berdych. Two semi finals at the US Open is a hell of an achievement, and like pretty much everything he accomplished it just goes so totally under the radar. Even at the end when he was barely winning matches at the top level he was never someone you wanted to face in an early round, as Federer found out in New York last year, and he could still throw together a half decent run now and then (he was just in the third round of Miami!). Terrible, can't see ball quality, but you get the point. Thirteen straight years finished in the top 50 as well, that's mighty impressive. Hope Stefan Dimov makes a 70 backhand winners tribute for the Colonel. Nice post. He had one of my favorite one-handers ... a very under-rated shot for some reason. His slice was excellent as well. Farewell Mikhail. 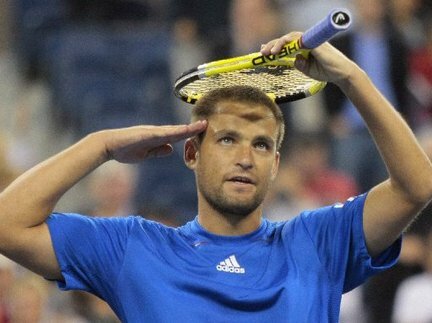 We tennis fans salute you just as you saluted us! Youzny has a great hairline just like me. ive always enjoyed watching him win. Mikhail was always a fun watch. Had a fairly eclectic, almost whimsical game that really contrasted with his militant demeanor. Another of a past generation sits. I've seen play at Cinci more times than I can remember. One of my favorite players. It's his time though. Farewell to the Colonel. A hugely entertaining player to watch. Any player that reaches world no. 8 in the rankings (with 26 weeks in the top 10), wins 10 career titles including St Petersburg in 2004 and his home city event Moscow in 2009, reaches the quarter-finals at all 4 majors including 2 US Open semi-finals, and wins 2 Davis Cups including the decisive 5th rubber of the 2002 final with a huge comeback, has done very well. Not really my hero, but good luck whichever new beggings he finds himself in! When I watched my first Wimbledon in 2001, which until 2007's edition was one of the best Wimbledon's I've watched, Mikhail was in the 4th round out of nowhere, he's been part of the fabric of Men's tennis for the last 17 years and that's truly a remarkable feat. 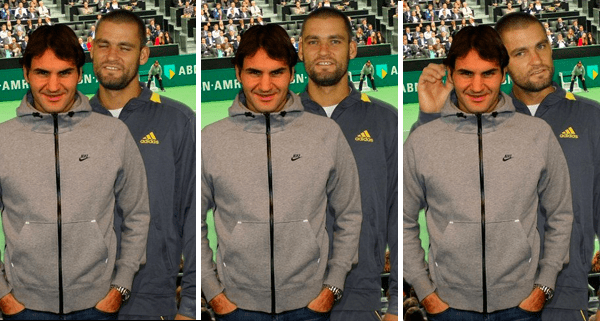 I'll miss him, I miss Gilles Muller, Florian Mayer and many more who've left the scene recently. Shame he’ll be remembered for hitting himself in the head. He’s a decent bloke. Glad I got to see him play doubles with Mirnyi at the Sony Open in 2013.